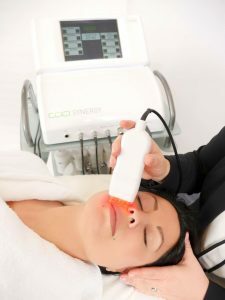 We specialise in beauty treatments for the face using the latest CACI Synergy Non Surgical Machines. CACI can also give you an electronic Jowl Lift and Bum Lift as well as a Face Lift. 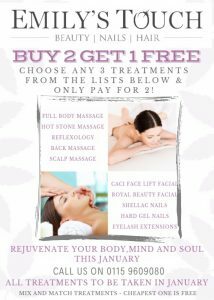 From time to time have Special Offers on other treatments like the example below. If you would like to take advantage of these offers please click the new link below for more information. We’re behind the Council House, above Berry’s the Jewellers.